A child's first babble is like music to the mother's ears. Once a baby graduates to the toddler stage, we cannot wait for the tiny tot to start talking. Also, talking makes interactions easier. It is the time when the child begins to mingle with a social group and communication becomes very important at this stage. It also becomes easier for parents to understand the needs of the toddler and cognitive growth is enhanced with better language and communication. However, sometimes toddlers take really long to learn to speak properly. Some parents worry over this and try to force feed the idea of talking. This often backfires and toddlers end up with learning and speech difficulties. Every child is different; some may be natural talkers while others may take more time to acquire the skill. Do not hurry your child into talking ever. 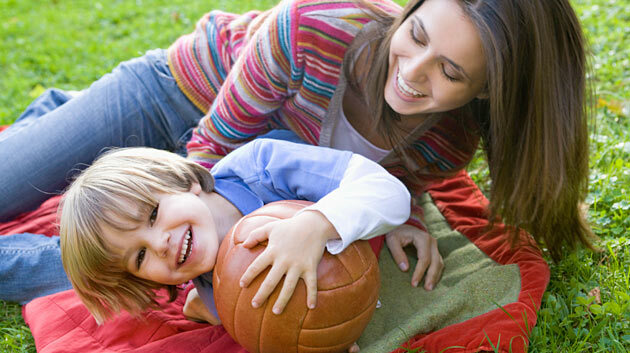 Nevertheless, you can try out these simple tips to encourage your little one to talk. Toddlers love animated expressions. When you tell them something, make sure you are vivid with your expressions. If you want to appreciate your child for doing something good, the appreciation should not just be in a word. It should be accompanied by an expression of happiness. If you are upset about his or her behavior, do not shout and scold. But tell the kid how upset you are and bring about a sad expression. Expressions and articulation are vital aspects for communication that will help your toddler to connect feelings to words and talk correctly. You cannot use your original rate of speech to communicate with your child. 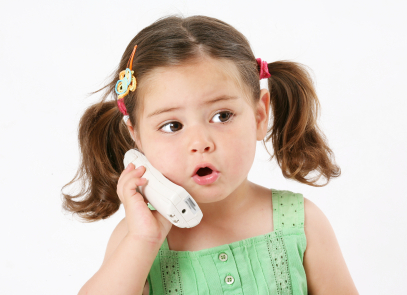 Toddlers find it difficult to process information if it is said to them in a rush. Speak each word slowly, sometimes omitting unnecessary words and just speaking the keywords to get the point across. This will help the little brains associate words to actions or objects well. Communication is effective when it is a two-way process. If you keep assuming what they are trying to tell and give out instructions, children may not feel encouraged to speak. So every time they are trying to make conversation, listen to them first. If you are not sure, ask them what you understood. For example, if they say 'Apple', ask if they want to eat an apple or want to look at the picture of one. Or whether they want to play with an apple shaped toy that they have. When children are learning to speak, they will make mistakes. Their pronunciations will be warped and all grammar rules are broken. Let them learn it their way! Don't try to teach them the correct thing. Just make sure that you are saying it correctly. Don't do babble talk with your toddler. Let them know how words are supposed to be pronounced and then let them speak the way they want to. Eventually, as they grow up, they will learn to perfect the art of speaking. Storytelling is a very helpful tool in improving communication skills in children. 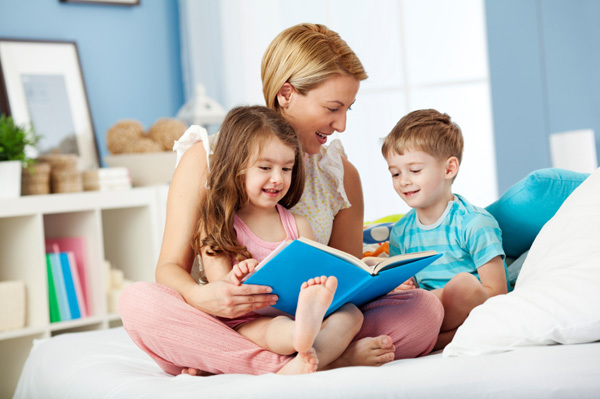 If you wish to encourage your little one to speak well, get into the habit of telling them stories. When they are just learning to speak, use pictures to narrate stories. It will make word association easy and within no time, their cute babble will transform into meaningful words. Music is also proven to be helpful in effective language development in children. Play lively children songs, or you can even sing your favorite songs to your toddler and see those awe-filled eyes trying to grasp the words in the song. 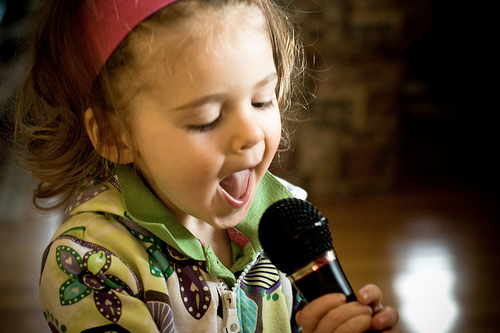 Children will be attracted to fun songs with tapping rhythm. So when it's play time, make it more interesting with a sing-song activity! When you are trying to teach your child to listen to you, ensure that you give clear instructions. Try avoiding negative words such as 'No' at the beginning of a sentence. Try to be affirmative. Instead of telling him or her, 'No it's your bed time, you can't play anymore', use 'Now it is bedtime. You have to go to bed now.' After the initial resistance, toddlers will begin to understand your instructions and follow them. Always be patient and don't get angry with the tiny tots! Oh tell me about it...Now I have to come up with games to keep my little one quiet for 30 seconds!